Supporting builders in the delivery of high quality homes and protecting homeowners with market-leading warranty and insurance since 1936. We are the UK’s leading warranty and insurance provider for new homes. In 2016 we marked our 80th anniversary, celebrating over three quarters of a century of raising standards in UK house-building to protect homeowners. In 2010, NHBC was a founder member of The Consumer Code for Home Builders which gives added protection and rights to the buyers of brand new homes. 2016 was a special anniversary year for NHBC. We celebrated 80 years of raising standards to protect homeowners, Pride in the Job reached its 35th year, Building Control marked its 30th anniversary, and the NHBC Foundation its 10th. NHBC continued to drive the industry agenda forward through the funding of research and its work with government. 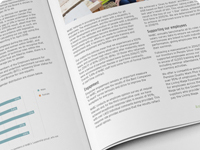 In 2006, the NHBC Foundation was established to deliver high-quality research and practical guidance to help the house-building industry address the considerable challenges of delivering 21st Century new homes. 2009 saw the launch of the national NHBC Health and Safety Awards to recognise site managers, companies and other individuals who are delivering true excellence in health and safety practices. 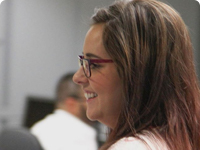 As market needs evolved, NHBC brought out new products and services to meet the changing face of house building, including training and health and safety services. 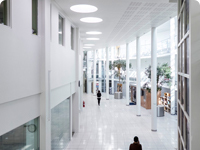 These additional services have now grown to include acoustics, air-leakage, sustainability, energy, land quality endorsement as well as analysis and data collection on the housing market. The Buildmark warranty in today's form was launched although the scope of protection has expanded over the years to cover more areas. The Pride in the Job Awards were created to reward site managers and recognise the unique role they play in delivering high standards in home building. Still going strong, Pride in the Job is recognised as the 'Oscars' in house building. In 1985 NHBC became the first private Approved Inspector offering a building control service. The birth of the modern NHBC - renamed in 1973 and now completely independent of Government and house builders, and in control of its governance. NHBC was approved as an insurance company by the Department of Trade. 1950s - Demand for family housing rocketed in the post-war baby boom years. In 1955, NHBRC became independent and self-supporting using income generated from builder registrations. 1960s - In 1965, protection for consumers was strengthened by the introduction of the 10 year warranty concept of today's Buildmark cover - with the original 2 year builder liability period remaining a key component. In 1967, NHBRC created a new executive committee with a widened membership, and financial control passed away from the builders, on the initiative of the builders themselves. 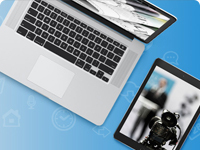 NHBRC became the leading independent standards setter within the industry. It had an established approved house builder register, the first standard construction specification for new homes, an inspection and certification regime and a role influencing legislation. Registration with NHBRC also included an innovative warranty for the buyers of certified houses. This provided that defects arising within the first 2 years from non-compliance with the standard specification, would be fixed by the builder, with NHBRC arbitrating in disputes - the forerunner to today's Buildmark warranty. 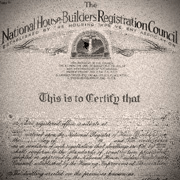 NHBC began as the National House Builders Registration Council (NHBRC) in 1936. Created to tackle the sub-standard building practices seen in the inter-war years, it was an important voluntary venture into self-regulation and consumer protection by the industry. NHBRC aimed to increase the professionalism and care shown by house builders, therefore improving the finished product. 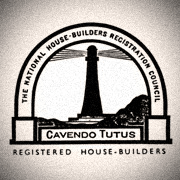 NHBRC's motto 'Cavendo tutus' - 'be safe by taking care'- laid down the values NHBC lives by today.